My New Years Resolution was to be a better gift giver. As Mark has taught me over the years, this essentially means to just be a better listener. 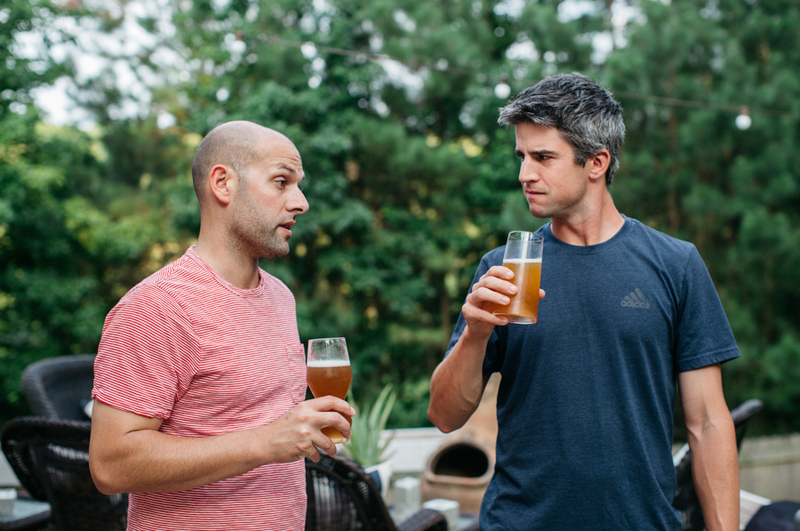 Over the few months before Mark’s birthday in March, I started to notice how much he was mentioning wanting to learn to brew his own beer. Tada! I listened, and Mark’s birthday present was decided. 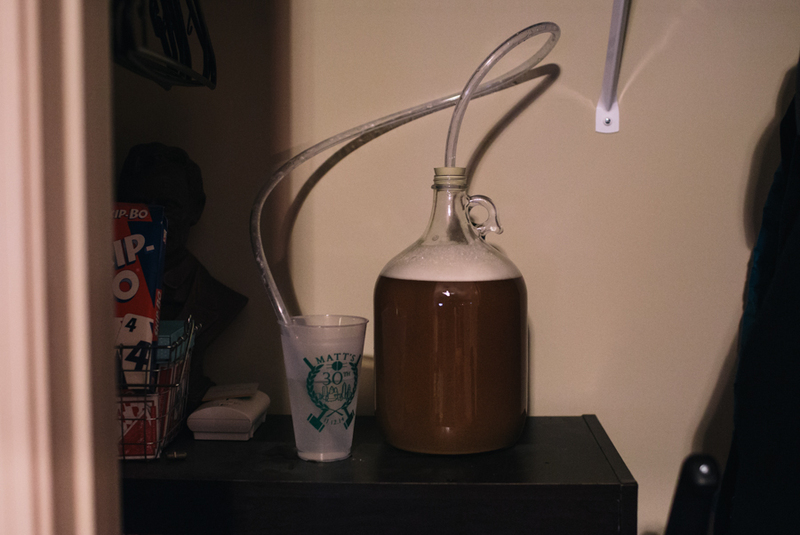 Getting into beer brewing is no task for the lazy. As I did research I realized how much equipment that I’d need to purchase just for him to “give it a try,” and potentially not like it or brew a terrible bucket of beer. 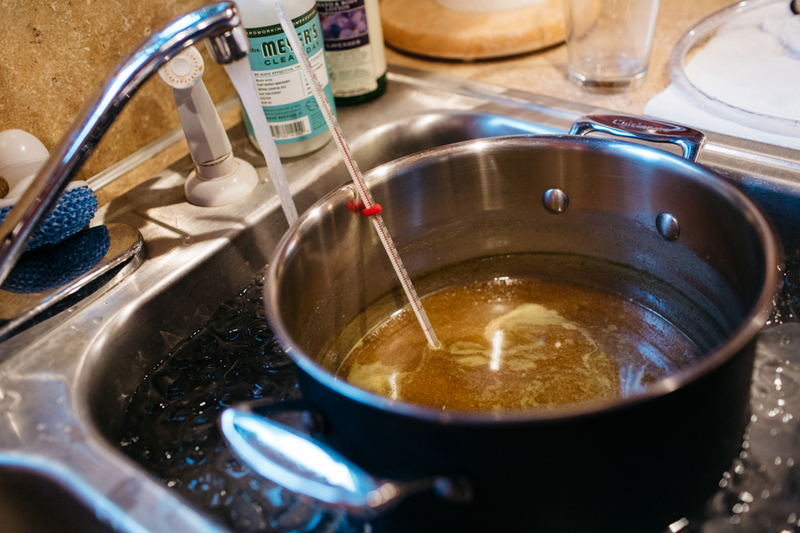 I had stumbled across Craft a Brew a while back on Huckberry, and it came to mind as I scrolled and skimmed site after site, post after post, about “Beer Brewing for Beginners.” A Brew Your Own Beer box seemed to be the best route to have Mark try his first few batches. 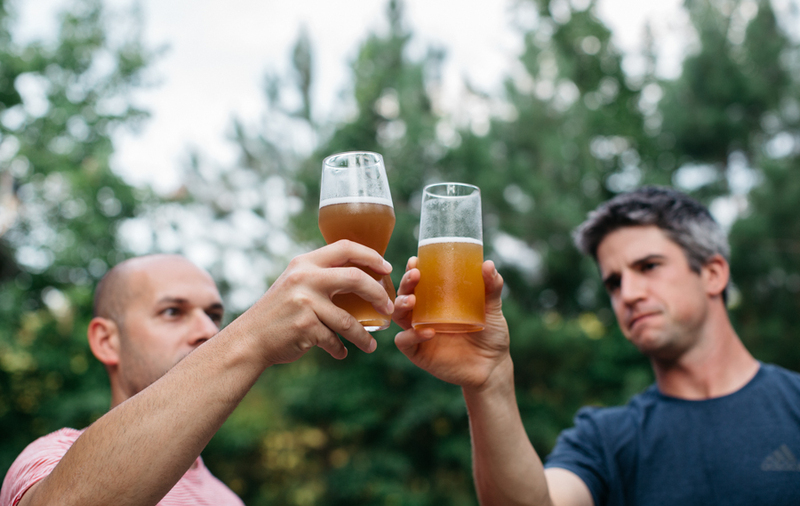 Based in Orlando, Craft a Brew strives to turn “beer lovers into beer brewers and to have customers make the best possible beer in their own kitchen on their first attempt.” If Mark could read (which, by the way, he totally can! ), then he could create a drinkable beer. Mark is now going to take over with his experience! Spoiler alert: the beer is really, really good. My buddy Tyler has also been wanting to brew beer, so I thought it’d be a fun thing to tackle together. 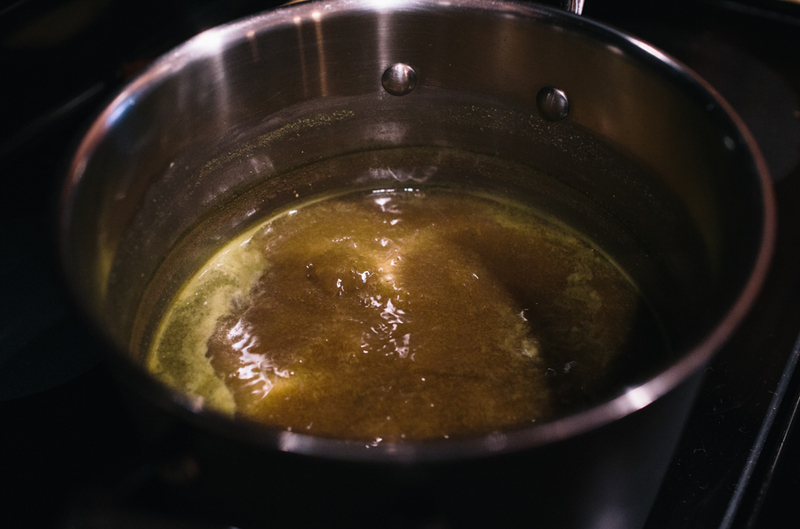 With only one brew kit but two recipes, we had to wait a while in between the brew processes. We made the Sixpoint Resin IIPA first, followed by the American Pale Ale. The Craft a Brew instructions were clear and concise. After following the steps once, it was easier the second time and cut the overall brew time by 15-20 minutes. At one point in the brewing process, you’re watching a pot for about an hour which gives you time to talk while enjoying someone else’s beer while you wait. The process from start to finish is truly a waiting game, so it was fun to have someone to check in with throughout the entire process and be excited about the result together. 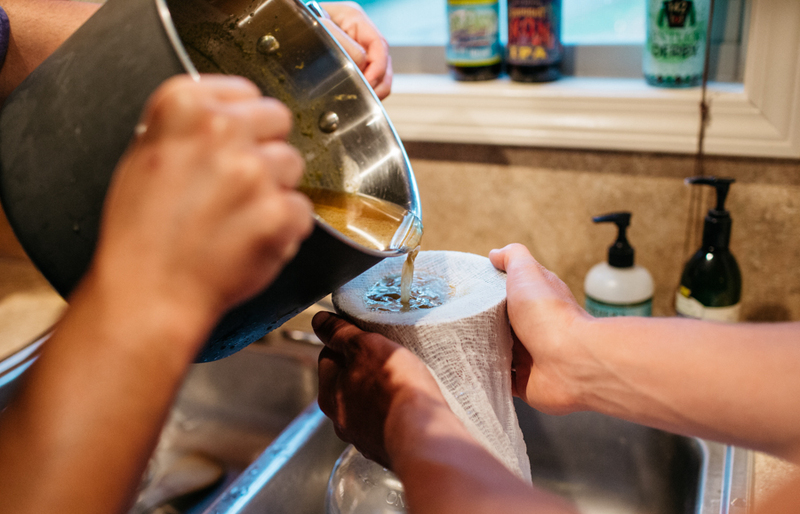 Tip: Make sure you have plenty of cheese cloth to speed the process of straining the wort to decrease the amount of sediment that makes it into the bottles. More waiting. The beer sits in a cool, dark place for two weeks. Then, you bottle it and it sits in the same place for two more weeks. We chose to save previously used bottles from our recycling can, sanitize and use their Beer Bottle Capping Kit. After that, 24 hours in the fridge before you can crack it open. The IIPA on the left and Pale Ale on the right. If there was one thing I would change about the experience, it would be making beer in larger quantities. It’s a lot of time for a little quantity. 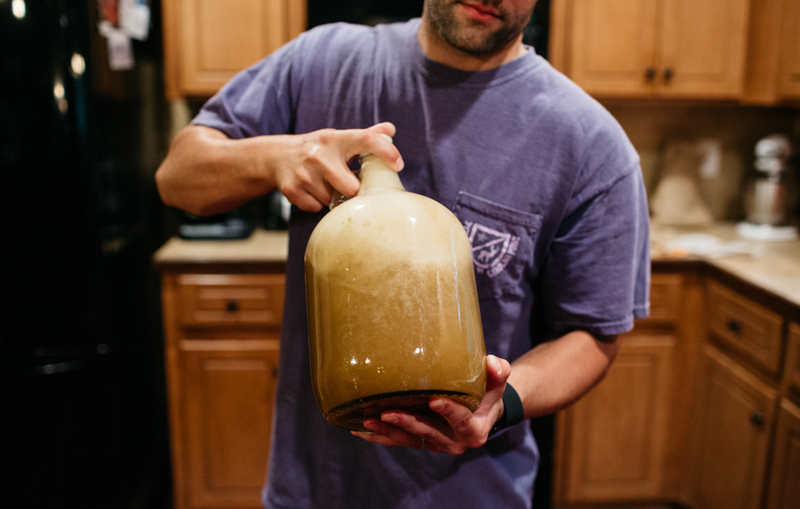 We were able to get 8-9 beers out of the one gallon recipe and for the two hours it took, we’d wished we had five gallons to enjoy. I would absolutely do it again in five gallon or larger quantities, but would still recommend this route as a great way to introduce yourself to the process! 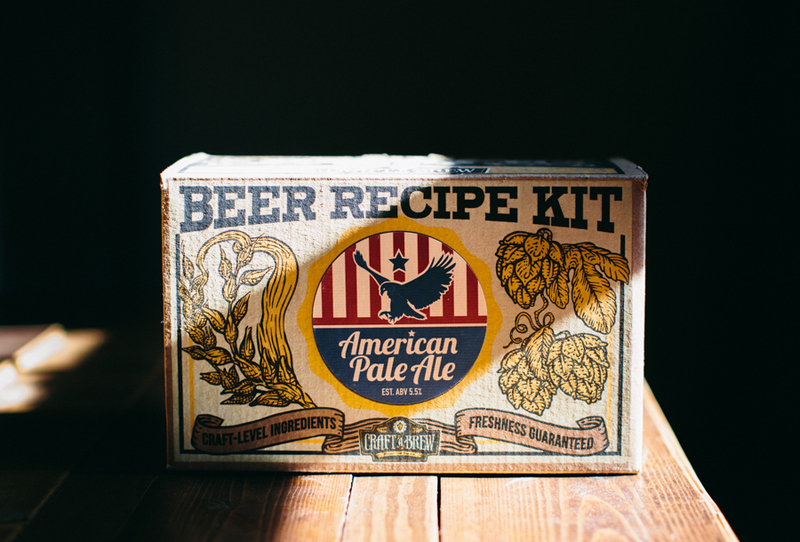 Thanks to Craft a Brew for recommending and hooking us up with the American Pale Ale recipe. Below is what I got for Mark to get him started, and a few other things we recommend if you don’t have them. 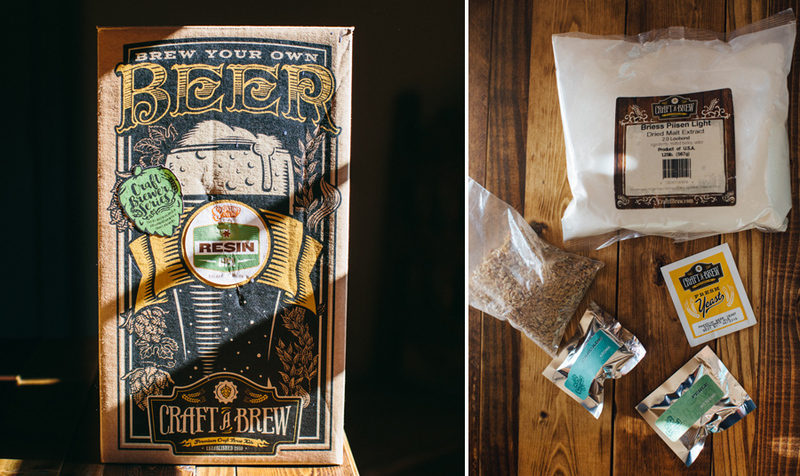 Sixpoint Brewery’s Resin IIPA Beer Kit. Beer Bottle Capping Kit (if you want to reuse your own bottles, which we did). If not, you can grab their Deluxe Bottling Kit. Carboy brush. We really wish we had this because cleaning that jug out was a challenge. Elk Head was inspired by the outdoors, but refined in the South, and was the product of my passion for quality menswear. Minimal, Textured, Earth-toned, Modern, Timeless. 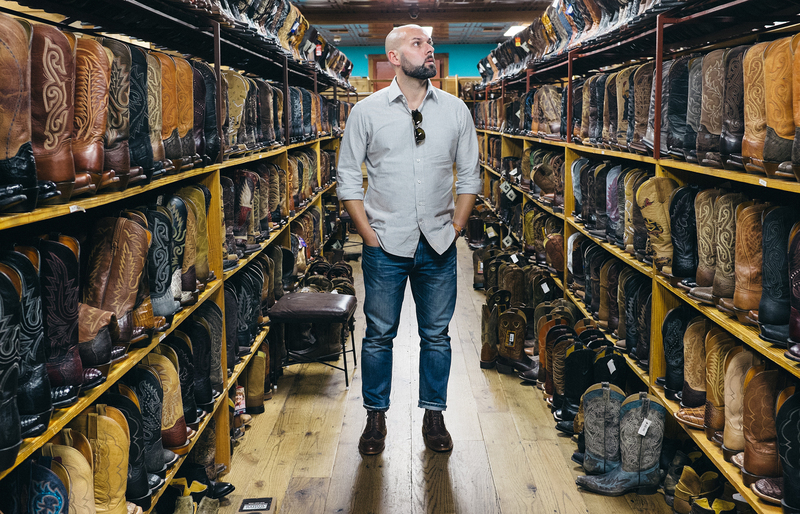 Meet Garrett Hilgendorf, Founder of Elk Head in Ponce City Market. 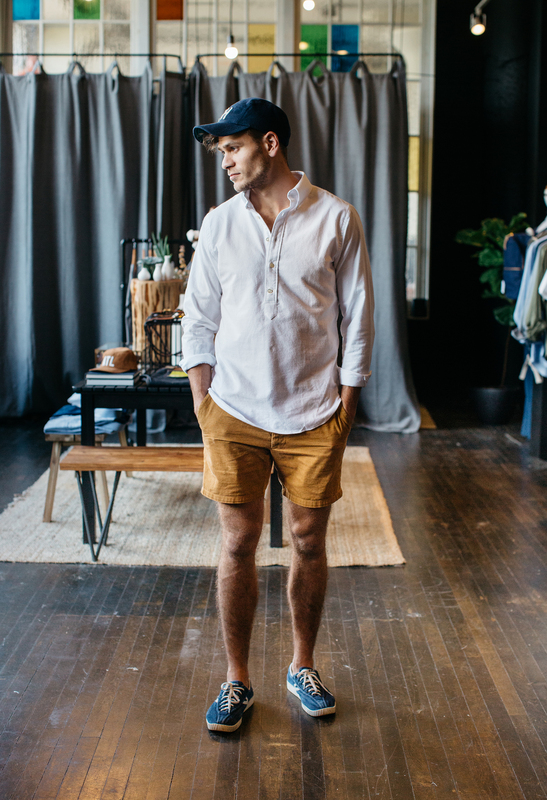 Elk Head hat, oxford popover and shorts. 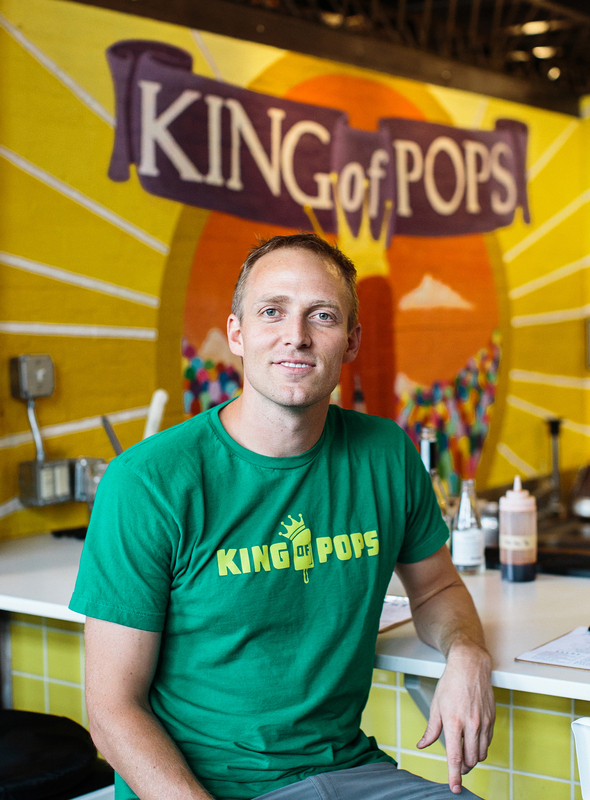 King of Pops was started on a whim to do something a little different after getting laid off from a corporate job during the recession in 2009. I was in love with the paleta from Latin America and thought it seemed like something that would make for a very fun summer job. With no real business plan things took off, and we’ve grown with an intention to support local good agriculture and provide a fun product at the same time. I love The Mercury. I’m able to momentarily forget where I am, or what I have to do for the rest of the week. 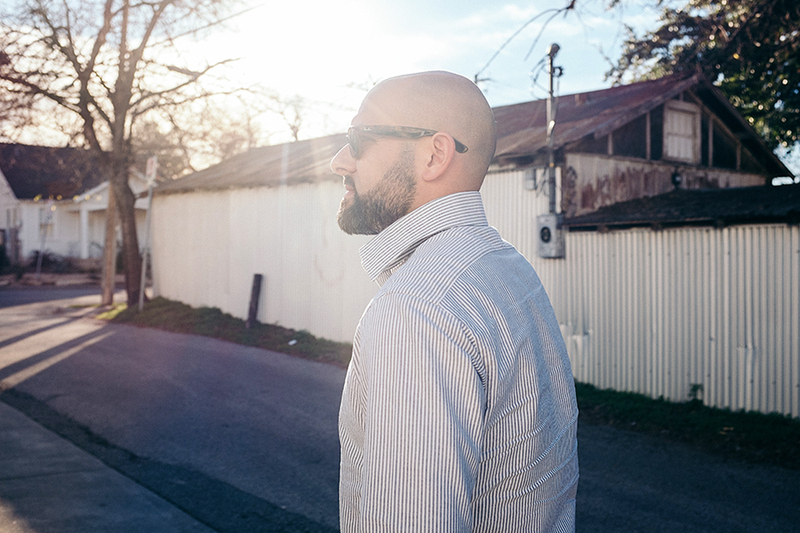 Meet Steven Carse, CEO, Co-Founder and visionary of King of Pops. You’re likely no stranger to their delicious creations but if you are, find one near you in Athens, Atlanta, Charleston, Charlotte, Greenville, Nashville, Richmond and Savannah. On our last trip out West this summer, we ventured North to British Columbia for Mark’s cousin’s wedding at Sonora Resort. This was our first visit to B.C. and the resort is without a doubt one of the most beautiful and impressive ones we’ve ever stayed. It can only be accessed by boat or sea plane making you feel a little bit like a movie star. We’re missing the fun, the food, the foggy, cool weather and the seals. Mark snapped this photo on our last afternoon; I was laughing to keep from crying about our trip coming to an end. Helly Hansen W Lyness Coat (c/o). A modernized version of the Fisherman’s raincoat. It was the only jacket that I packed for a 60-70 degree forecast with a chance of rain everyday. Waterproof and windproof but still breathable, it’s the perfect weight and style. Negroni. The Sonora Resort bartenders were my buddies by the end of our four days of all-inclusive cocktails. They take the classic Negroni to the next level by simply adding an ice cube made of coffee. 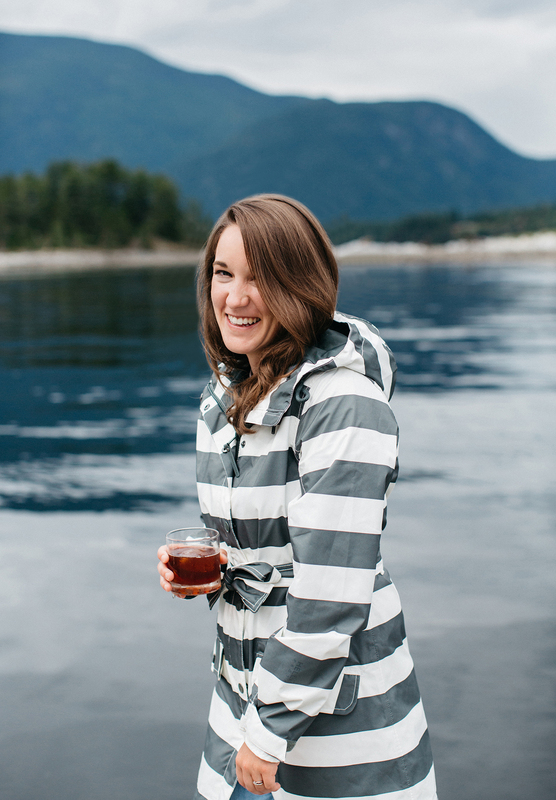 As you sip, it slowly turns into an easy variation of Cold-Brew Negroni. Raleigh, North Carolina (for a few more months, we’re a military family). We’re an artisan marketplace that focuses on telling the story of the maker and small business owner and providing a wide exposure at Ponce City Market. We curate handmade and sustainably made products and pride ourselves on working closely with the maker to pull together the perfect collection of pieces for the store, dream up a strong display plan, deliver detailed monthly reports, and promote community between the shopper and vendor. Beyond the details, though, it really is such a happy place to work, shop or just stroll around. The energy in the store when I’m there and interacting with our team and customers is something I miss when I’m away. LOVING Zelma Rose and Chad Barela, and our new candle line by Brick + Mortar smells incredible! Spiller Park for my morning iced coffee, Minero for a taco lunch (and the best salsa in town), Lucky Lotus for an afternoon smoothie (Go Nuts is my fav! 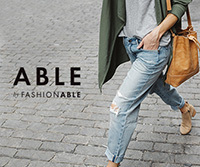 ), and Madewell to tempt myself with one more pair of high-waisted skinnies. 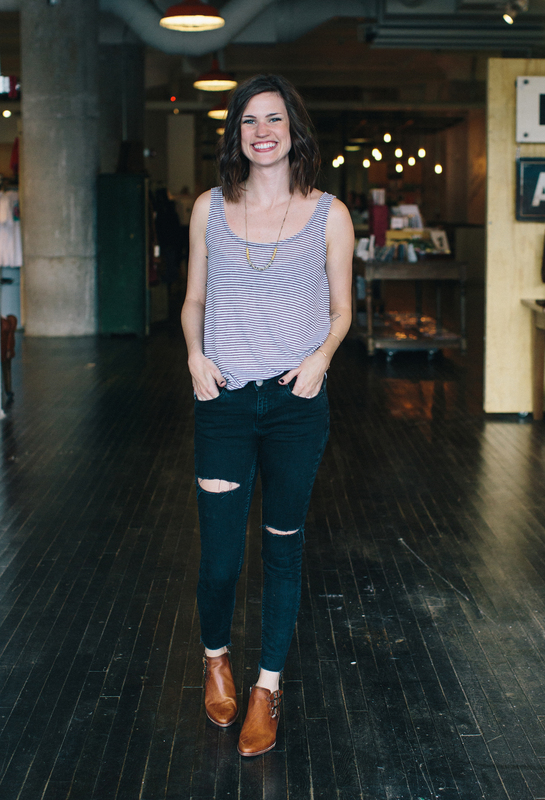 Meet Mattie Tiegreen, Co-Owner and Creative Director of Citizen Supply. I came across Fulton & Roark in a menswear shop a few years ago. I was instantly attracted to the packaging – the sleek design, the weight to it, and of course, the scents. All four of them. And I’ll be honest, I’m a tough woman to impress with cologne. Mark’s worn the same few as long as we’ve known each other, and I own only one perfume. The Winston-Salem based company touched base recently and I was really excited to partner up to share their products with y’all, in case you’re not familiar. 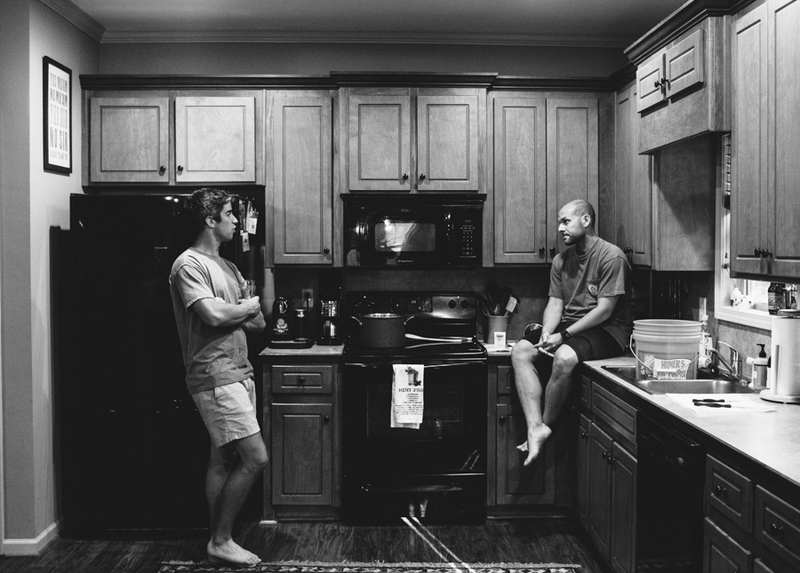 Here’s a brief introduction to their story and products, just in time for Father’s Day! 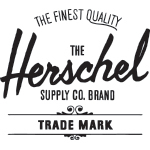 We’re a men’s grooming company that is built around the way men operate. While that sounds like marketing speak, we really mean it. 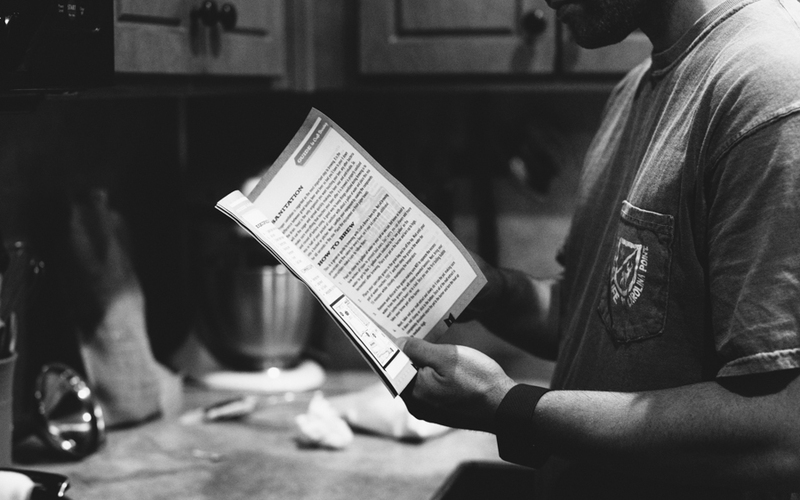 More than ever, men are really receptive to the idea of taking good care of themselves. 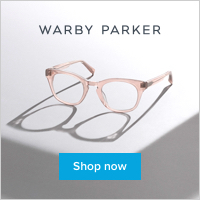 But as we were getting started, we noticed that most of the companies out there were really just re-purposing women’s products that have been on the market for years or doing exactly the same thing that has been in the men’s grooming world forever. We’re trying to do a little more than that, by taking a couple of steps back, and thinking about how men get ready, and trying make products around their specific needs. This was our first product, because in a lot of ways, I think it’s the product that is in the most dire need of improvement. I’ve always really been a cologne fan, but trying to get a glass bottle of super-intensely scented liquid through the airport, in and out of your gym bag, etc. is a ridiculous process. It only takes one broken or leaky bottle in your life (especially if you’re away from home and smelling like “that guy”) to consider swearing off cologne entirely. Then there’s the application itself…that balancing act of smelling too strongly and not smelling at all. So, a solid, super-concentrated wax-based cologne in a metal container that can fit in your pocket solves a lot of those problems. You apply just a little to your pulse points, and you’re good. Plus, we designed the container so that it can go anywhere, from your dopp kit to a pair of dress pants (which makes for easy re-applying wherever you are). From there, we launched several more products aimed at making getting ready for a guy a much more enjoyable experience. We’ve put out an ultra-slick shaving cream that hydrates your skin while you shave, which means your skin actually feels better after you shave. We launched a bar soap that has Moroccan clay and oatmeal flour to gently exfoliate your skin whether you use it with or without a washcloth. Most recently, we have launched individually packaged aftershave wipes which soothe and tone your skin after shaving…or actually anytime you’re need a little refresher. They feel nice and cool against your skin and have just the right amount of liquid to do the job. Looking ahead, we have a few more things in the works that we’re really excited about. 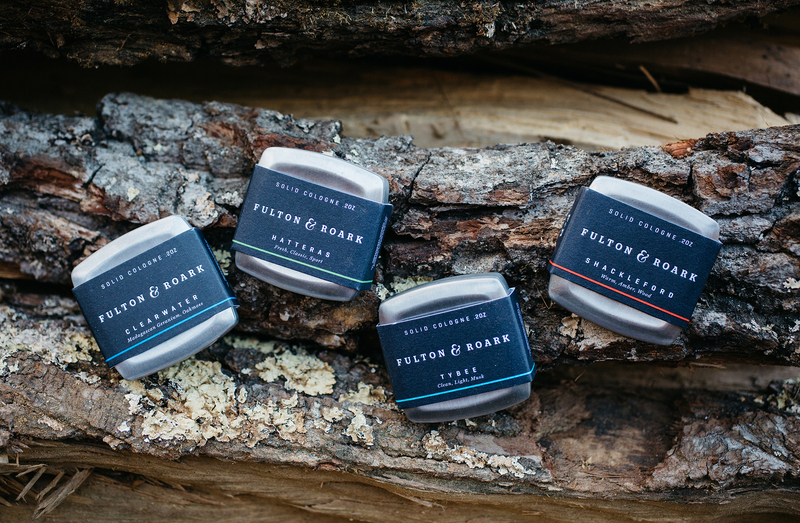 Our plan is to keep creating products that are innovative in their own ways to make a guy’s grooming ritual a pleasure. Clearwater (Mark & Caroline’s favorite), reminiscent of the Clearwater River in Washington state, rushing from the Olympic Mountains toward the sea. Madagascan Geranium and Oak Moss complemented with notes of fresh water. Hatteras, named for Hatteras Island, a long thin island that stretches for nearly 50 miles known for being a fisherman’s paradise. Fresh and green with light spice. Tybee (Allen’s favorite), named for Tybee Island off the coast of Georgia known for its lack of pretense. A brisk white musk accented with rosewood and cedar. Shackelford (Kevin’s favorite), named for the Shackleford Banks – part of North Carolina’s famed Outer Banks. A sophisticated blend of sandalwood and warm amber. Ltd Reserve #2: Escalante, named for the incredible collection of rock formations in Southern Utah. Haitian Vetiver and Italian Bergamot. 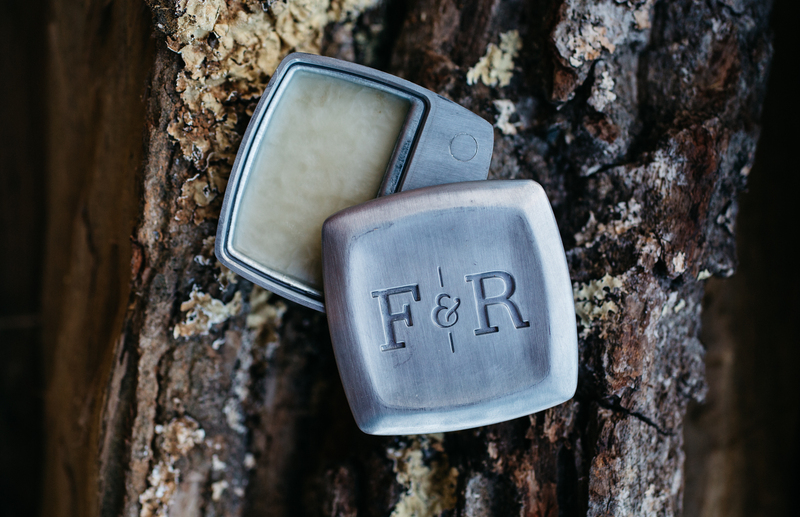 With Father’s Day coming up, Fulton & Roark are extending a 15% discount for all products. Use code BDS15 at checkout! Happy St. Patrick’s Day! Or, for the majority of people, A Great Day for Drinking Beer! We’re celebrating with an Instagram giveaway from Huckberry + Sempli with one of their gorgeous Monti-Tasting Sets! 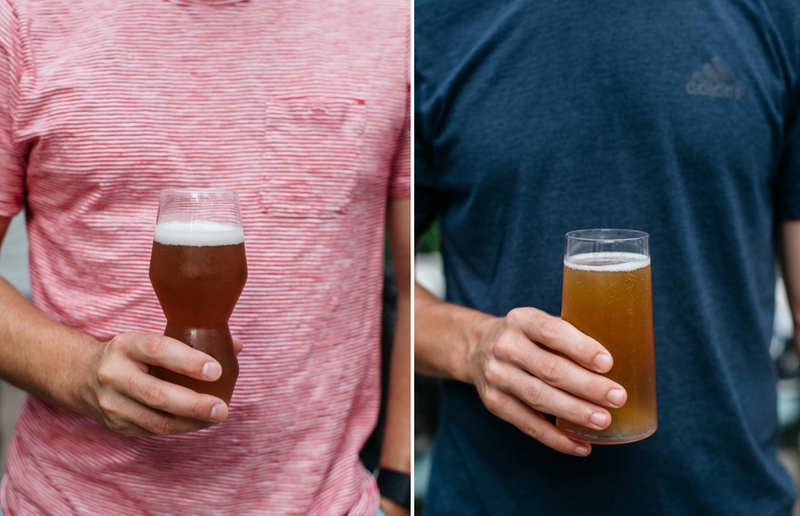 Founded by Swedish designer Daniel Semararo in 2011, they’re the perfect glasses for your favorite craft beers. 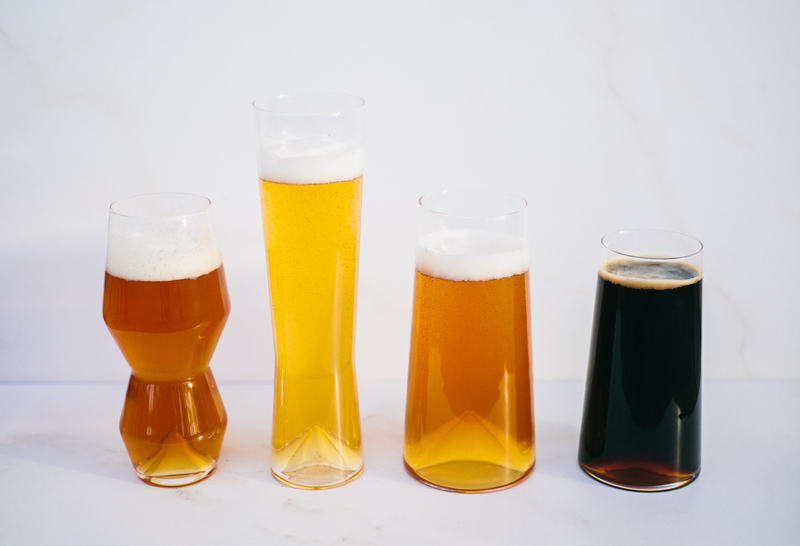 The Monti-Taste Set includes four glasses specifically designed to enhance the effervescence and flavor profile of the beers they hold: IPA, Pilsner, Pint (16-ounce) and 12-ounce brews. Head to Instagram and ‘like’ this photo! Double entries for commenting (on IG) your favorite beer right now. Triple entries for following Huckberry x Sempli. Cigar City Jai Alai IPA (Tampa, FL). Very tame and perfect for people just getting into IPA’s and these warmer days. Foothills Brewing Torch Pilsner (Winston Salem, NC). A Czech-style pils that’s strong in alcohol but well-balanced with Czech Saaz hops making it not your typical pilsner. Wicked Weed Freak of Nature Double IPA (Asheville, NC). 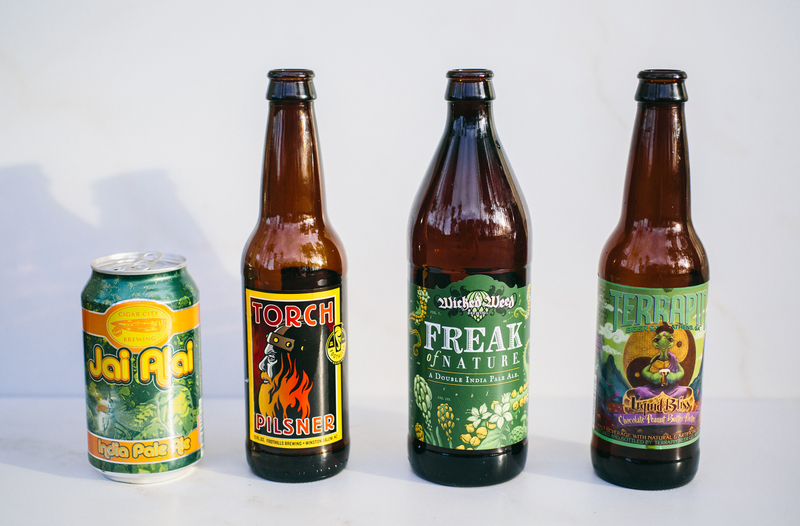 A San Francisco inspired hop monster and our favorite of the Wicked Weed’s we’ve tasted. Terrapin Liquid Bliss Chocolate Peanut Butter Stout (Athens, GA). This salty-sweet desert in a bottle is perfect for the still somewhat cool evenings that call for beer. Tuna Carpaccio and Moqueca Stew. Tacos de Lengua; that might be up for debate later in life! 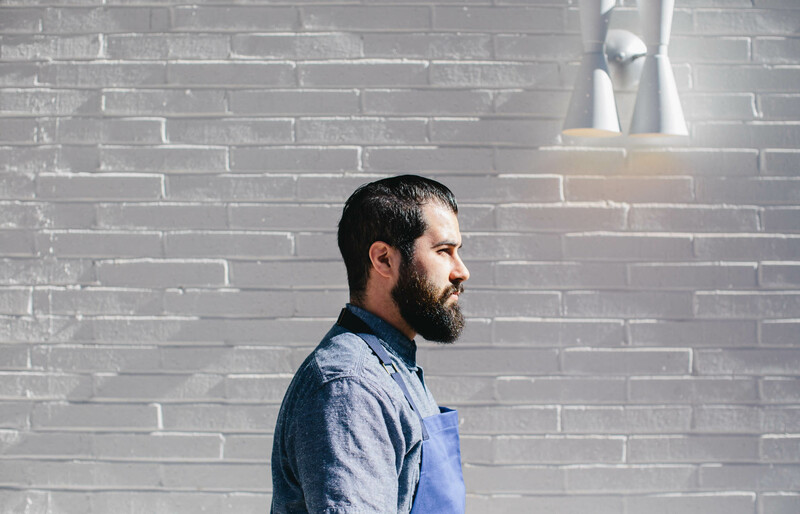 Meet Andrew Isabella, Executive Chef at BeetleCat. Full story of Atlanta’s “youthful new seafood joint” on The Love List. Some Mondays call for playin’ hookie. Don’t tell my boss. 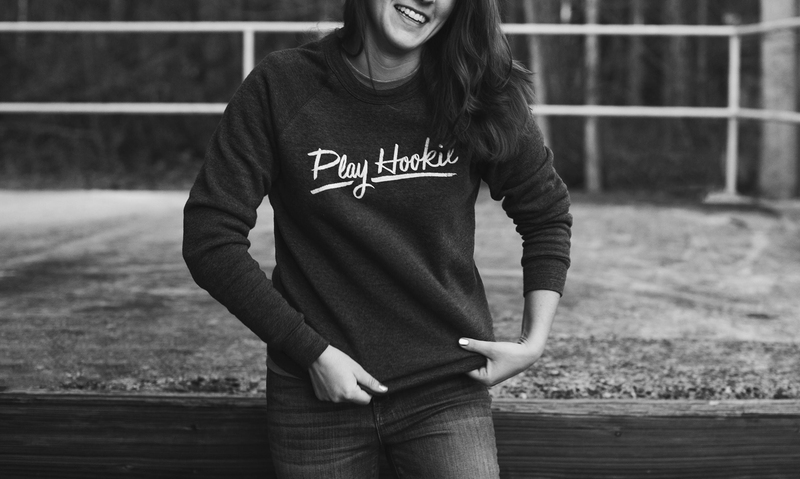 Get your own Play Hookie sweatshirt from Blu Kicks. More goodness with this brand coming very soon! Our experience with “made to measure” e-commerce companies have been very mixed, which hasn’t surprised us. We aren’t tailors, so YouTube videos teaching how to measure for the perfect fit can still be a struggle to know if we’re executing properly. The majority of the time, we failed. The shirt arrives, and Mark’s sleeves are still too long for him, the neck a bit too tight, the quality very disappointing. Michael J. Beaumont, founder of Henley Bond, was born in Blackburn, UK and raised in Manchester. He’s since lived in Toronto and now calls Philadelphia home. 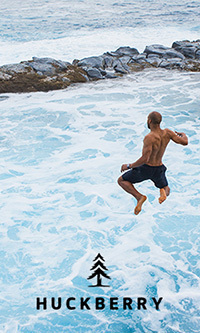 Michael seeks to bring a better, more personalized fit than ready-wear clothing can offer. Below, a short interview with the man himself. Don’t miss his gift to y’all at the bottom! We were tailors first, our team have been making bespoke clothing for years, both here and in the birthplace of the craft, the UK. 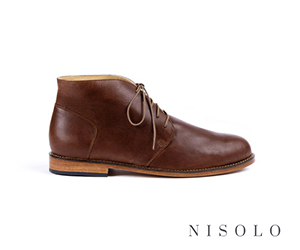 We have everything from bespoke shoes to knitwear in our repertoire, some of which will be coming in early 2016. With our shirts, we take a massive amount of pride in our craft, we make everything in the US and do things the way they’ve always been done: by hand. From pattern cutting to pressing, the human touch makes a big difference in our opinion. New Orleans, it’s been on my list for a good few years now. I had a trip booked back in 2008, but unfortunately it was for the same week Hurricane Ike hit and we had to cancel. I have spent time in Memphis and Nashville though; the music, food and atmosphere in both were incredible! A lot of early jazz of late too, a little Etta James and Lou Reed are great while designing. Our white, green & navy gingham. The cloth is beautiful, the details are subtle and it pairs well with everything. I can’t offer you the heavenly smell of being surrounded by cowboy boot leather heaven like Mark is, but I can offer you a 15% discount on your first Henley Bond shirt! Use code BDSHB2016. The offer is good from now until the end of February. Thanks, Michael!